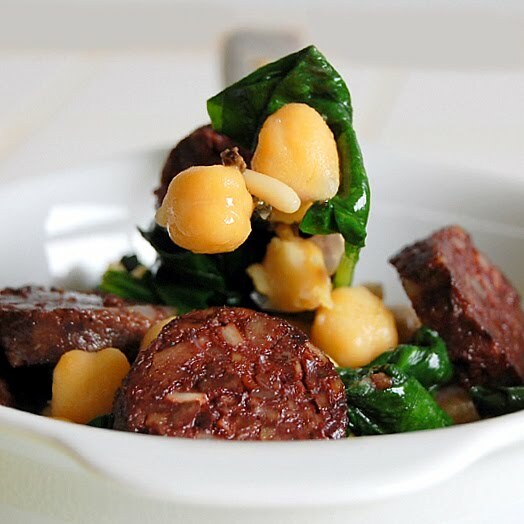 This is one of those dishes that takes you 10 minutes to prepare if you use canned chickpeas and bagged spinachs; but if you want to boil your own chickpeas and clean the spinachs leaves… it takes much more! So, this is up to you. Are you in a hurry? 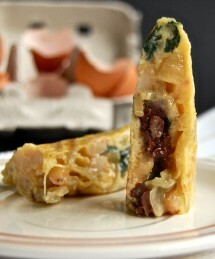 Try this dish! Do you have the whole afternoon for you? Then do it the old, slow way and try the dish too ;D.
I didn’t use canned chickpeas but I didn’t boil them myself either… I’m a little tricky here… I bought them boiled at the Sagrada Familia Market; there’s a shop there with huge pots and casseroles where they sell all kind of legumes boiled early in the morning and ready to be used. Even if I tried to cook them myself for a million years, my chickpeas wouldn’t be as good as theirs. So, I buy 3 or 4 little bags per month, I freeze them and they taste better than canned when defrosting them. For those of you following Lent rules just discard the blood sausage, or wait until Lent is over. For those of you looking for a supersavory dish, try it and tell me about it ;D.
I’m sending my dish to Ruchikacooks who is hosting this month’s My Legume Love Affair; Susan’s brainchild Event. If you want to participate too, just take a look at Ruchika’s blog or go to Susan’s MLLA past, present and future to get all details. Legumes are so important in our diets! Les teves fotos ens apassionen, ets una gran captadora de la llum!! A veure quin dia ens podem conèixer, que som veïns!! Milions de petons, Núria (visca el Vallès!). Oh, I wish I could buy chickpeas like that. 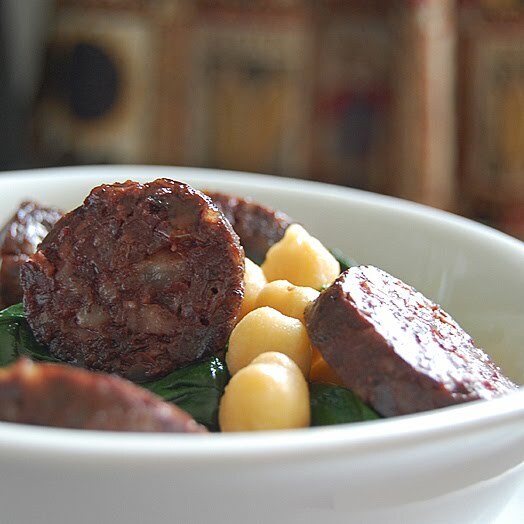 This looks delicious – and yes, I like blood sausage…. Usually. That second photo made me want to open my mouth so that it could go right in. Yes, you’re lucky to have a market that prepares the beans for you. Looks delicious. I think I would have made it a little wetter — for dunking bread! Am I bad? What a great way to buy chickpeas! I usually use the canned ones and I love their convenience…this looks beautiful Nuria. All the flavours play a different part yet work together perfectly. Gracias! I love blood sausage! I wish I could get that here. Guess someday I could make my own…. I often cook and then freeze my chickpeas too – saves on time, and you don’t have to use the cans! I love blood sausages! I could never find good ones in the US so I gave up! I have found such nice things about the ingredients of this dish. Chickpeas can lower cholesterol and improve blood sugar levels. Spinach is a known antioxidant and anti-cancer agent due to it being loaded with flavonoid. 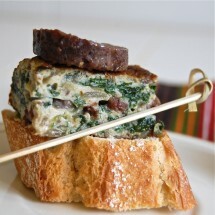 The Blood Sausage is a very good source of protein, it is carb-free! You see the line up? This will make a perfect low calorie recipe. Very smart of the Sagrada Familia Market to sell readymade beans for delicious dishes like this Nuria. Nuria, thank you very much for your help. I think I have managed to suspend the account of the guy who was stealing my content. What a great idea to sell cooked legumes. Last week I boiled some chickpeas and half of the quantity is still in my freezer. This would be a lovely recipe to make. We used to eat blood sausage when i was a child, it has been a long time; thanks for reminding me of this childhood fav nuria! yum. yum. yum. You can tell i’m catching up on all the posts i haven’t read recently. 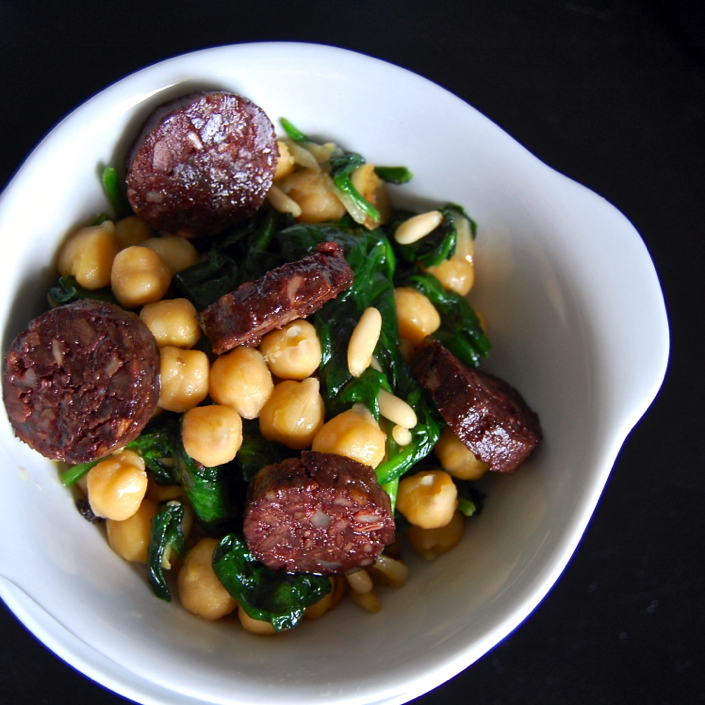 jonny is posting our italian version of sausage and beans soon – but (shhh, don’t tell him) i think i like yours better.